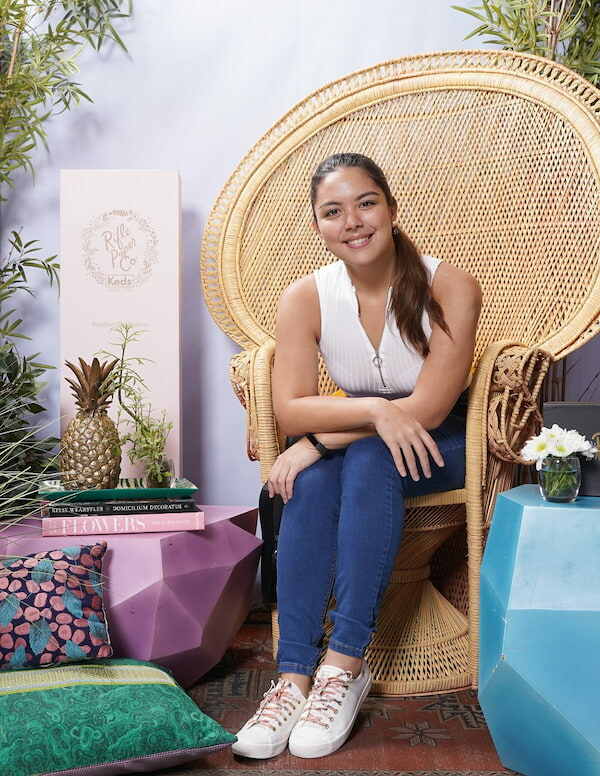 Leila Alcasid, Ria Atayde and more are in the mood for florals with Keds x Rifle Paper Co! Cooler months may be on the way, but we’ll always be in the mood for some flowers! 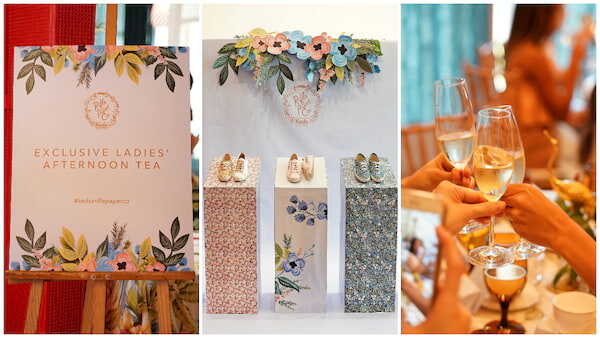 Last August 30, Keds hosted a tea party for the launch of the Fall 2018 line of the best-selling Keds x Rifle Paper Co. Collection. 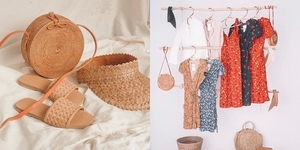 Celebrities such as Leila Alcasid, Ria Atayde, and social media influencers like Patricia Prieto, Chin Chin Obcena, Melissa Gatchalian, Winnie Wong, and others got a first peak at the new collection’s bright florals, embroidered details, and quintessential styles. 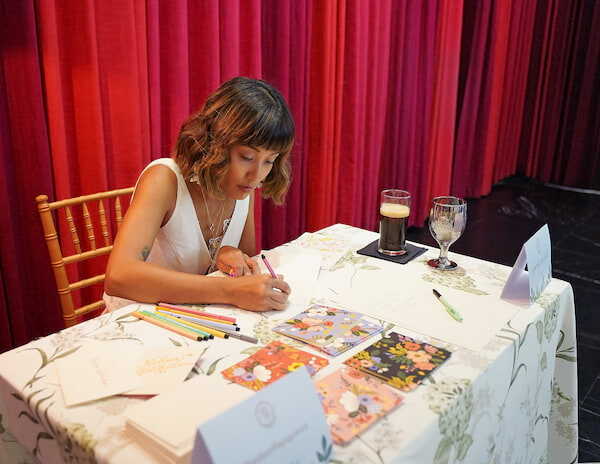 In addition to the the toast-worthy event setup and new shoe designs, the guests had their Rifle Paper Co. cards personalized by artist anina Rubio. The limited edition collection comes with six styles, with 3 classic Keds sneaker silhouettes. Signature Rifle Paper Co. floral prints meet Keds bestsellers for a collection that's perfect for everyday looks and dressier ensembles, alike. Get ready, the floral beauties will be available in Keds stores and online at www.keds.com.ph starting September 15! Keds’ lace-up Champion sneakers is one of the brand's most recognizable — and versatile — silhouettes. In this new collection, it is designed with the colorful botanicals of the Rifle Paper Co. Meadow print against a dark blue or blush background. The cushioned Ortholite® insole and canvas fabric have a breathable feel. They're finished with brass eyelets and lace caps, a leather logo tab, and two sets of laces (white with gold tips and matching floral). The lovely blooms and overlapping leaves of the Rifle Paper Co. Meadow print is also making a cameo in another crowdfavorite silhouette. The timeless white Keds Kickstart gets a dainty update with blush Rifle Paper Co. Meadow pattern laces and insole, proving that details make the biggest impact. Gold eyelets combined with leather logo and heel strip also add feminine touches to this goes-with-everything sneaker. Can’t get enough of the Keds Kickstart? The blush version gets a cool update featuring a beautiful embroidery of the vibrant Rifle Paper Co. Herb Garden floral print, creating a tennis shoe with serious dress-up appeal. You can also cop the embroidered Herb Garden florals on a platform sneaker favorite. The black base of the Triple Decker slip-on keeps things casual and versatile while the floral embroidery adds a dose of lush, feminine beauty that enlivens even the most basic looks. 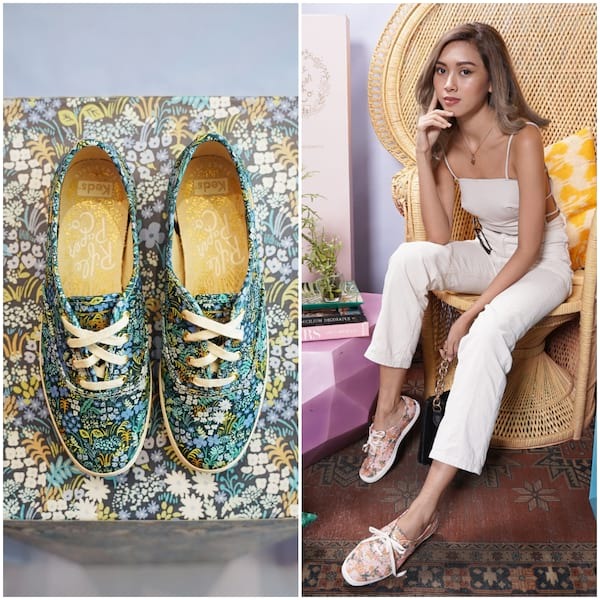 Step into the new season with the intricate Keds x Rifle Paper Co. Triple Decker Forest print. This chic sneaker features Rifle Paper Co.’s signature floral print in the form of an intricate gold foil that looks as if it’s been painted by hand. The ornate print adorns supremely soft blush suede uppers making for a leather slip-on sneaker with a richly romantic twist. Perfect with all things dressy and an unexpected twist to more streety pieces, too! The collaboration continues to celebrate two female led and focused brands; Keds, a footwear brand dedicated to providing women with accessible, fashionable footwear for over 100 years and Rifle Paper Co., a small stationery business turned international lifestyle brand started by female entrepreneur Anna Bond.